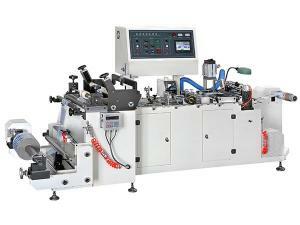 Shrink Sleeve Label Gluing Machine, GSHZ250 (Mold Adjustable) This machine is special designed for gluing and seaming single layer PVC/PET roll to produce various shrink sleeve label such as beverage label, battery sleeve,pens sleeve, etc. 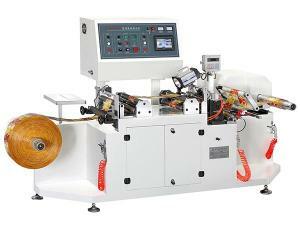 Sleeve Label Inspection Machine, GSJP250 This machine is special designed for rewinding and quality control the film reels, especially for PVC/PET colorful shrink label. 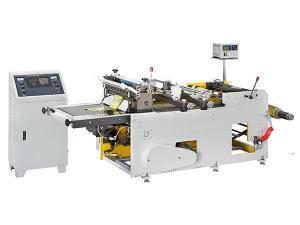 High Speed Sleeve Label Cutting Machine, QD-300 This machine is suitable to segment cutting heat shrinkable film, trademark compound film, PE film, as well as composite film Popsicle bag.